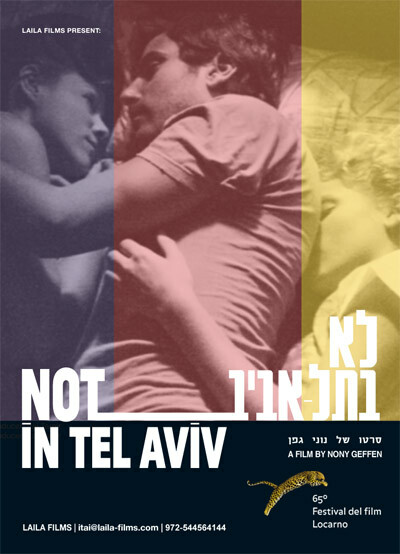 Winner of the Special Jury Prize at the Locarno International Film Festival, Switzerland and the Best Independent Feature Film at the Cinema South Film Festival, Israel. Trained as an actor, Nony Geffen plays the lead role in this, his debut directing endeavor. When a repressed high-school teacher loses his job, he decides to pull his entire life down with it. Within the span of a few days, he will kidnap a teenage student, reconnect with his old high-school crush, forgive an old friend, kill his mother, take on a rabid group of feminists, a movie star, the police and the stifling conventions of his boring small town. A drama, a dark comedy, a love triangle, a crime story and much, much more. An adventure like this could only happen to people who are NOT IN TEL AVIV.